As a long-time resident of Bluffton and the South Carolina low-country, Steve Wallace knows the low country and its neighborhoods well. He is genuinely interested in getting to know his buyers and learning what they’re looking for in their next home. Understanding the buyer’s needs is the first step in finding the perfect home. Relocation is something Steve is familiar with as well. He has moved many times in his career, so he is familiar with the frustration and fear of the unknown that goes along with moving to a new unfamiliar area. Free Relocation Guide, "Relocating to the Lowcountry of South Carolina." which is jam packed with area information and "hot off" the Weichert Realtors presses. Guided Tour of Greater Bluffton SC Neighborhoods which have homes in your price range and a mix of amenities like golf, club houses, equestrian, swimming pools... Additionally, while supplies last, Steve will supply his home buyers with a free Bluffton and/or Hilton Head Island color-coded map so home buyers can enjoy their own self-guided tour of non-gated neighborhoods. Finding the right home – Steve values your time. Steve has all of the latest tools and technology, such as customized listing searches to preview suggested possible homes or search all homes currently for sale in your market area of interest from the comfort of your own home. Shopping for a new home in South Carolina should be an enjoyable experience. Realtor Steve Wallace is eager to help by managing your time and setting up home tours designed specifically for you. Determining your specific needs and what is most important to you - Steve listens. He is anxious to learn about you and does his homework on the Greater Bluffton SC real estate market so you don't have to. Helping buyers determine their lifestyle needs - Steve makes it his duty to not only find you a home to meet your basic housing parameters; but, the perfect combination of amenities, location and design to best fit who you are and how you aspire to live. Helping buyers discover values in niche markets - Searching for a pet-friendly home in a pet friendly neighborhood? Need an affordable villa which is one-story and ground level? Desire affordable new construction homes but do not know where to look? Does your family need good schools, a great house, and a homeowner's association to protect your property values? Ready to buy a luxurious home in one of our private golf communities but desire a cul-de-sac location with water-views? Steve is an expert in helping his buyers find values in niche markets.  Assistance with the sale of your current out-of-state residence by referral to top tier real estate agents, Agentiers and listing agents in our network of real estate professionals who work in your local neighborhood, town, city and state. Great and consistent communicator: Steve will keep you up to date about each stage in the process of buying local real estate properties. Your advisor and advocate during the entire home buying process. Financing expert who will put you in contact with a local lender to assist you with the ever important Pre-Qualification/Pre-Approval process: Steve knows all about mortgage options in SC. He can put you in touch with his concierge service provider for lending to any question you may have about financing. Education on real estate market conditions and our local area neighborhoods. Finding ways for home buyers to attain as many of their needs as possible when dealing with the realities of the marketplace and/or specific financial constraints. Expert negotiator: Proven negotiation skills to achieve your price and terms. Home inspection knowledgeable: Steve has a thorough knowledge of how home inspections are conducted, and he can translate the report findings in layman’s terms. Contracts and escrow expert: Steve knows all the ins and outs of real estate legal contracts. He can answer all of your questions and explain each line of the contract or refer you to your best source of legal real estate advice which is, of course, your local South Carolina real estate attorney. Coordinating contracts, inspections, appraisals, titlework, etc. Steve has the experience and affiliations in place to provide as seamless a process as possible. Certifications and memberships: Steve belongs to many real estate and neighborhood organizations and he’s certified to help Military personnel with buying needs. Honest customer service: With Steve, you’ll receive honest expert advice from a trusted and local real estate veteran. He’s a local: Who better to ask about the area than a local? Steve has lived in the area for over a decade and loves it. He would like to share information about the Greater Bluffton areas with you and answer any questions you may have. Full access: Steve’s full access to all properties in the Greater Bluffton area and Hilton Head allows you to see any home for sale including the most upscale gated and luxury neighborhoods. Support after sale. As a full service company, real estate agency/brokerage, and full service full-time local real estate agent, we are here to assist you in getting acclimated to your new home in Greater Bluffton, South Carolina. We act as a concierge to area services and any needs you might have. We feel priviledged and honored to represent our real estate clients buying homes in Bluffton, Callawassie Island, Hilton Head Island, Okatie, Sun City Hilton Head and areas beyond. Steve looks forward to earning your business this year and remaining your trusted source for real estate in the years ahead. Negotiation skills are Steve’s strong suite and he really enjoys this part of the job, ensuring that his clients receive the best deal possible. He works hard to get the best price for his buyer clients. The seller’s agent will bargain hard for their client, and so will Steve for his. Being well informed about the local real estate market gives Steve Wallace an advantage over the competition. He has extensive knowledge of the Greater Bluffton real estate market, and he is always keeping abreast of trends and sales in the area. When you first meet Steve, he’s going to want to know your communication preferences. Some clients want to receive emailed reports about every potential property for sale while others would rather receive information about those that only pertain to their specific list of preferences. Steve can accommodate either way. He wants this to be not just a streamlined and financially advantageous experience for you, but also a pleasant one. Steve Wallace always suggests home inspections be done. Inspections are important for both resale homes and also brand new construction homes. He can explain the home inspector’s report to you line by line and obtain estimates from tradespeople to fortify a request for a lower sales price. Steve Wallace knows the best and most reputable mortgage professionals in the SC low country areas and can refer you to his network of knowledgeable specialists in financing. We have favorites that previous clients used and loved. We have discovered that word-of-mouth recommendations are the most reliable. Details must never be overlooked in the high stakes world of real estate transactions. After all, for most buyers this is the largest investment of their lifetime. Hiring a buyer's agent who knows the process well and has years of experience processing these deals can mean a world of difference financially and legally for a buyer. Steve is present for every step of this process and every meeting along the way. He will keep you updated about scheduling, too. Remember, having the seller accept your offer is just the beginning of the process. Steve Wallace can help ease your mind about any complexities along the way. Make sure each relevant party receives accurate documentation. This would include, for example, mortgage lenders, other financial professionals, real estate attorneys, insurance companies, and more if needed. Keep account for due diligence and earnest monies between parties. Organize or facilitate bids and repairs from contractors. Work with your mortgage lender to ensure timely financing. Work with the home appraiser to make sure valid appraisal is completed. Make sure contingencies have been satisfied. Help with transfer of utilities. The terms “realtor” and “real estate agent” are often used interchangeably, but there is a difference that consumers should be aware of. When you become a REALTOR®, you swear an oath to follow the National Association of Realtors® (NAR)’s Code of Ethics. These 17 articles of the Code of Ethics are taken seriously by members and are strictly enforced by real estate boards. The most important article that Realtors subscribe to is honesty. A REALTOR must be fair to all parties and must always put their client’s interests above their own. Steve Wallace is a proud and longstanding member of the National Association of Realtors® (NAR). Steve can introduce you to Bluffton and the surrounding areas and give you the perspective of what it’s like to live here as a local. Local knowledge about schools, neighborhood events and the local scene can help you decide what neighborhoods fit you best. Steve wants to welcome you as a neighbor as well as a client. Steve feels that he’s not just a real estate agent, but also a “Lifestyle Agent.” He makes it his duty to find you a home that meets your needs and budget but also takes a step further and makes sure it’s the perfect combination of amenities, ideal location, and design that fits you and your family. Getting to know you and your standards is an important step in finding you the best home in the Greater Bluffton areas of the South Carolina Lowcountry. So many agents overlook this important first step in the process of buying a home. If an agent doesn’t take the time to sit down with clients and learn what they truly need and want in a home, then the search for a home can be long and tiresome. It doesn’t have to be if the agent knows you and what you want ahead of time. Being proactive and communicative is key in being an outstanding buyer’s agent, and Steve takes pride in doing so. Steve has a long history of being good to his clients and providing honest and reputable services to buyers throughout the Greater Bluffton area. Buyers feel at ease with sharing what they truly want in a home, so honesty goes both ways and is beneficial to the process. Steve has offices in Hilton Head, Bluffton, and Sun City Hilton Head (Okatie). He knows the SC Low Country well and can answer any questions you have about the area including: local businesses, job market, events, schools, shopping, dining, and much more. Steve has held a position on a local Bluffton neighborhood board and has served as a property owners association board president. He can share these experiences with you and answer questions about what it’s like living in Bluffton neighborhoods. Steve has access to all the gated neighborhoods and plantations. Some agents do not have access to some of the upscale and luxury neighborhoods. Oftentimes, they must go through a few hoops to get access. This can delay things and sometimes prevent you from getting an offer in on your dream home before others do. 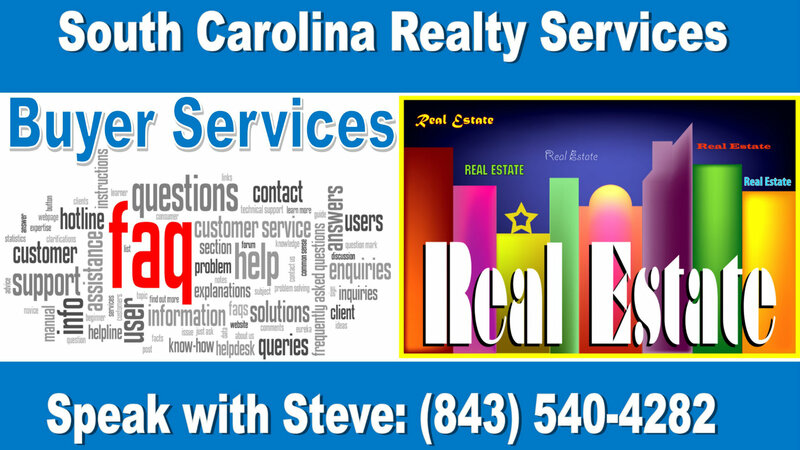 Steve has access to every property in the Hilton Head and Greater Bluffton SC area. Steve’s premier local website updates in seconds with the latest new properties hitting the market. Steve has worked hard over the years to maintain a strong social media presence. He’s developed contacts and an extensive network of professionals that can work with him to bring you the best properties in the Greater Bluffton SC area. He features helpful real estate information available in video on many of his social media Steve Wallace Real Estate pages. Steve and his team are readily available every day to take your calls and questions about new listings, market forecast, local market prices, legal documents, contracts, escrow, showings, open houses, lending, home insurance, home inspection and property management services. Steve always answers his phone, and if he’s not available, he will call you back promptly--same with email communications. Give us a call today at Steve Wallace Real Estate at 843-540-4282 to start your search for a home in the Greater Bluffton area or Hilton Head. 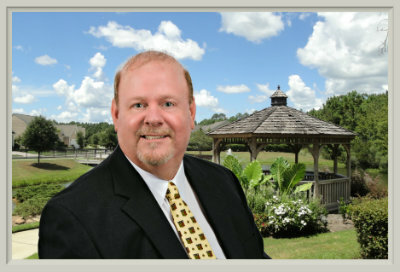 Steve is available to answer any questions you have about buying a home in Bluffton, SC. Whether an experienced homeowner or a first-time home-buyer, your local and professional Realtor® Steve Wallace is at your service for real estate. Steve Wallace Real Estate Services can help you identify the right home, negotiate the right price, and guide you through each stage of the buying process.